Isa Saharkhiz was not released despite having served his prison sentence. The son of the imprisoned journalist published the following on his Facebook page: Although the arrest and sentence was not legal, according to the illegal sentence, my father should have been released from prison yesterday. He is still being held in the hospital as a hostage. An independent panel of experts has informed the UN Security Council that Syria is involved in nearly all breaches of UN sanctions against Iran. 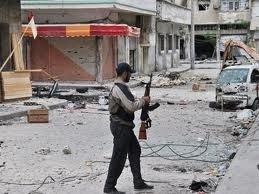 UN experts have reportedly gathered “substantial evidence” regarding Syria’s role in arms transfers with Iran. Reports indicate that the UN sanctions panel on Iran prepared a report which outlined three illegal arms shipments, two of which involve Syria. This report is expected to be published in the near future. The US and its western allies are calling for tighter sanctions on Iran over its on-going nuclear ambitions which Tehran claims are peaceful but which Washington and others believes represents an attempt to develop a nuclear bomb. An independent panel of experts recommended that the UN Security Council’s Iran sanctions committee add two Iranian companies to a UN blacklist for violating the UN ban on arms exports by Tehran. This recommendation to sanction Iran’s “Yas Air” and “SAD Import-Exports” was included in a confidential report issued by the UN panel of expert. UN Security Council diplomats revealed that this report will be published in the near future. This report claims that Syria remains the top destination for Iranian arms shipments in violation of the UN Security Council ban on weapons exports by the Islamic Republic of Iran. For his part, Britain’s Deputy Permanent Representative to the UN, Philip Parham, told the UN Security Council that London supports the panel’s recommendation of sanctioning the two Iranian firms. It was not clear when the Iran sanctions committee would make a decision on whether to add Yas Air and SAD Import/Exports to the list of companies facing an international asset freeze and banishment from international business. 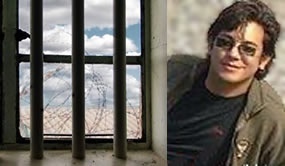 Rajaï Shahr Prison from Evin Prison, was transferred in a humiliating manner by security forces, with his hands and legs shackled. He was not allowed to collect his personal effects. Amoui was first transferred to solitary confinement along with several other political prisoners who tried to conduct a ceremony marking the death of Hoda Saber in prison. 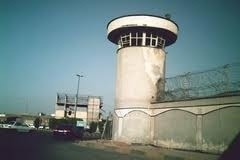 Evin Prison guards cut off electricity in the political prisoners wing and prevented the ceremony from taking place. The report further revealed that calls of Death to the Dictator were heard throughout the wing. Student activist, Siyavash Hatam, former Secretary of the Islamic Association of Students at Hamedan University, was summoned to Evin Prison to serve his 1.4 year prison sentence. Hatam was arrested by Intelligence Ministry agents during the student protest during election events. Intelligence Ministry headquarters in Semnan ordered the closure of two manufacturing plants owned by two Baha’i citizens. Seven members of the Baha’i community in Semnan summoned for questioning at Intelligence Ministry headquarters – According to the report, the seven were interrogated at the Intelligence Ministry headquarters for seven hours about Baha’i institutions in Iran as well as about a photo related to religious lessons that took place ten years ago. 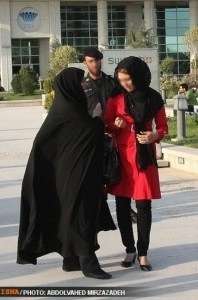 The report further stated that one of the people interrogated, Tanaz Firoozian, was questioned about a lesson from ten years ago, when she was only 18 years old.